This is about 360 yards of conductive thread spun from stainless steel fiber and wound on a spool. You can use it as a creative way to connect various electronics onto clothing projects. This large spool is a great way to get into wearable electronics without a large upfront cost and a large enough quantity to not be afraid of making a few mistakes. 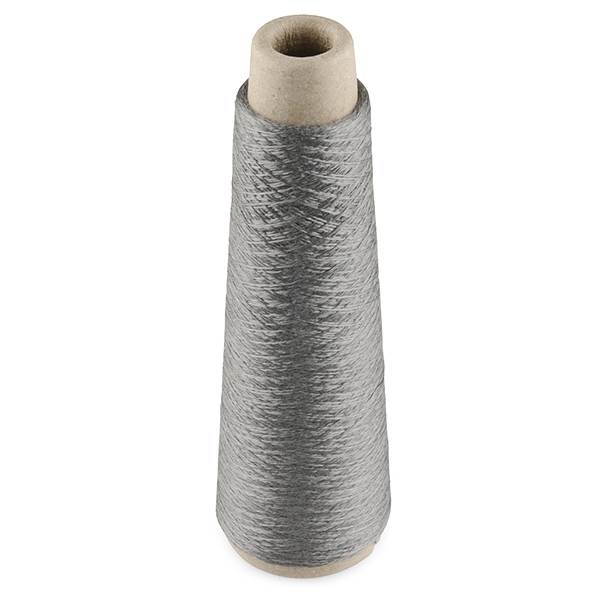 What sets this thread apart from the other conductive thread that we carry is the fact that it’s actually spun from stainless steel fibers (as opposed to plated silver) and doesn’t have a Nylon core. This means that while it may not be easy to solder to, because it’s stainless, it also won’t burn up when you touch it with a soldering iron. Also, it’s somewhat ‘hairy’ and can be slightly more difficult to work with in close, fine conditions than the other thread. 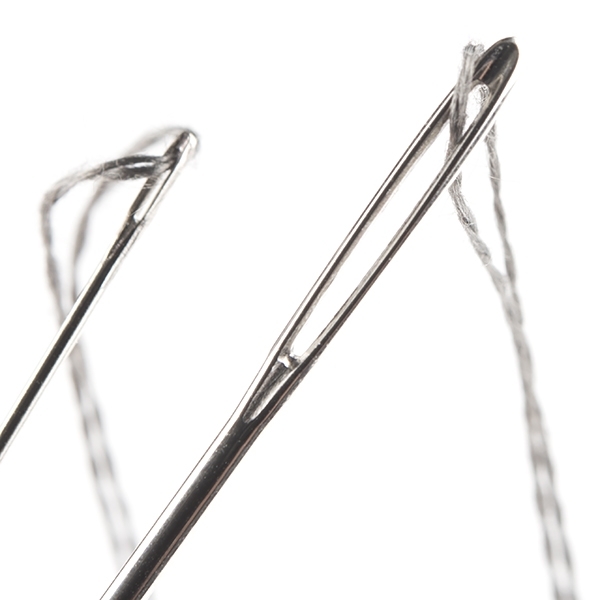 Our resident E-Textiles expert suggests waxing the thread for hand sewing, as this should take care of any ‘hairy thread’ issues. 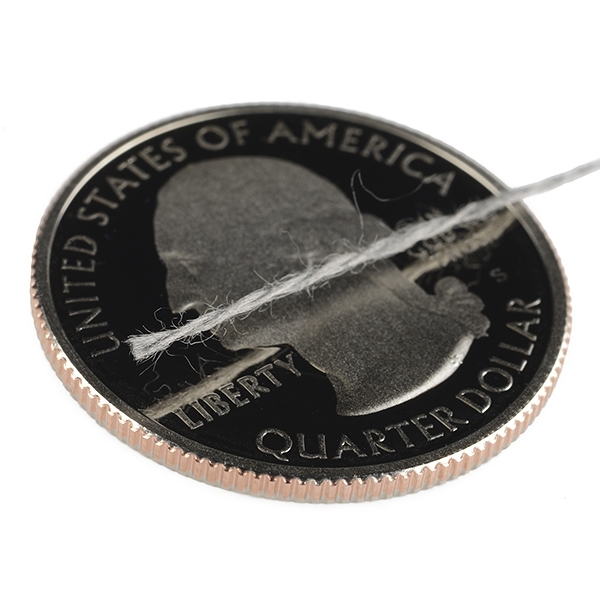 Since waxing is impractical in machine sewing applications, avoid sewing close connections by machine as the ‘hairs’ could potentially short across small distances.